Founded in 1991 to provide service of mechanical systems in commercial and industrial facilities. Adam Augedahl and Matt Phillips purchased company in 2009. 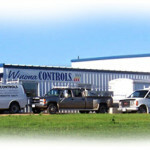 Its dedication to customers is to always provide dependable, fast, production quality service. It has grown to 30 employees. Journeymen are licensed in their areas including plumbing, high pressure piping, medical gases, municipal gas licenses, low voltage wiring, backflow prevention, pipe welding certification and EPA refrigerant handling & recovery.